Jimmy Crystal New York is a luxury, designer eyewear collection comprised of striking limited edition pieces. Each style is unique and special, featuring hand set Swarovski Elements. 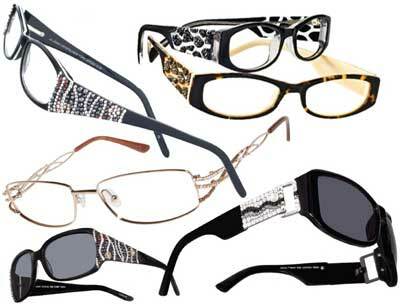 Jimmy Crystal Eyeglasses and Sunglasses will enhance your look and reflect your sown tylish personallity. Jimmy Crystal Eyeglasses and Sunglasses are designed with femininity in mind for the independent confident women who enjoys attention. Jimmy Crystal Eyeglasses and Sunglasses are worn by the stars so bring out the fashionista in you with your own pairs of Jimmy Crystal Eyeglasses and Sunglasses.